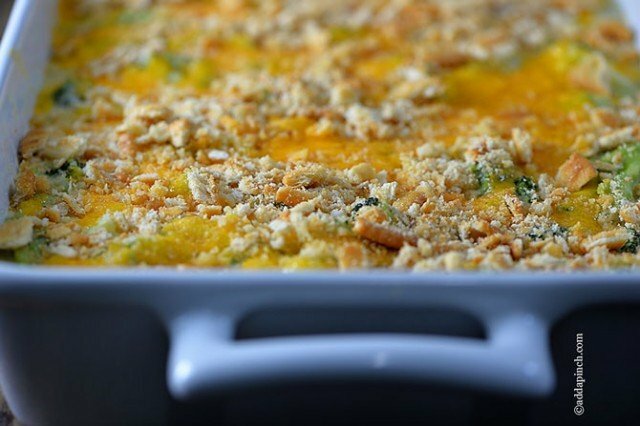 Broccoli Cheese Casserole makes a delicious side dish. 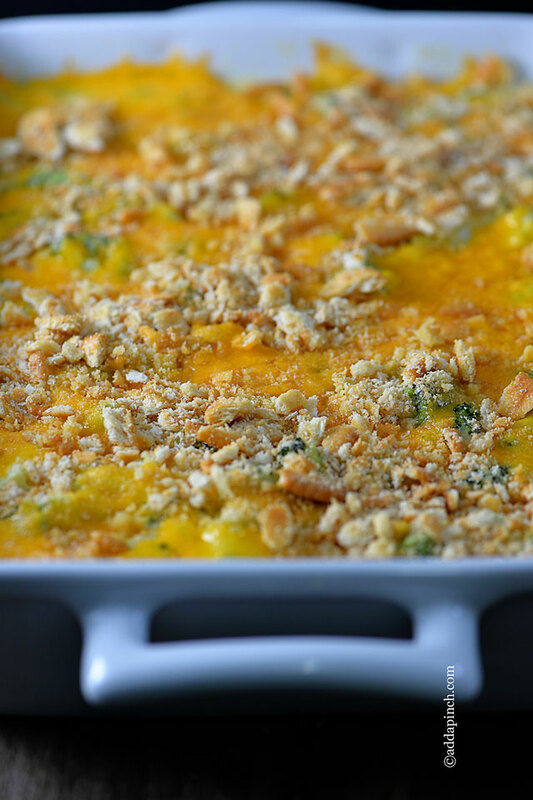 This updated broccoli cheese casserole recipe is made from scratch and is a family favorite! 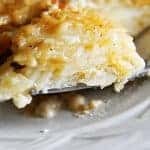 So simple to prepare, my broccoli cheese casserole is made from scratch and is an updated version of that old favorite from my childhood that included cans of cream soup. While there’s absolutely nothing wrong with that, I decided a while back to update the recipe to make my own creamy, cheesy sauce for my broccoli cheese casserole and have never looked back. I think once you try it, you won’t look back either. 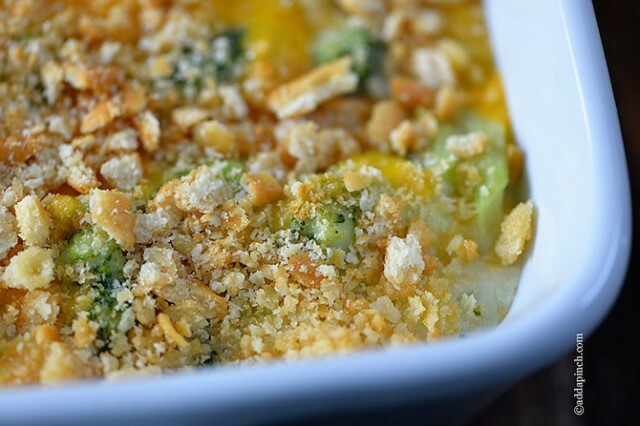 This broccoli cheese casserole works well as a side dish for so many delicious menus. 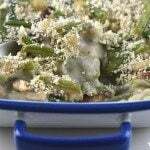 From Thanksgiving, Christmas, family reunions, to Sunday suppers, broccoli cheese casserole is one of those dishes that just immediately comforts. Well, at least it does for me. Preheat oven to 350 degrees. Spray a 13 x 9 inch baking dish with nonstick cooking spray. Add the broccoli florets to a large heavy-bottomed stockpot of boiling water and cook for 3 to 5 minutes. Drain the cooked broccoli from the water and set aside. Then melt butter over medium heat in a small saucepan. Whisk in flour until it’s well-combined. Then whisk in milk, salt, pepper, cayenne pepper and 1 cup of Monterrey Jack cheese. Reduce heat to simmer and continue to whisk until the sauce simmers slightly around the edges and has thickened slightly. Then stir in sour cream. Arrange the broccoli in a casserole dish. Then pour the cream sauce over the broccoli. Next, top with cheddar cheese and crushed crackers. Bake uncovered for 35 to 40 minutes. Then serve warm and enjoy! 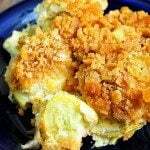 This recipe easily fills a 13×9 casserole dish for company or a large family meal. But if you’d like to make it on a smaller scale, I recommend pouring it into two smaller casserole dishes and freezing one while preparing the other. In other words, just half it so that you have one to enjoy now and one to enjoy later. Or you can make the entire recipe ahead to save time later. 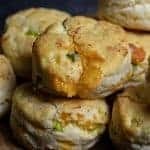 Prepare broccoli cheese casserole without baking up to one week in advance and store in an airtight container in the refrigerator or 3 months in advance in the freezer. Hold the cheese and cracker topping and wait to add until just right before you plan to bake it. Thaw in refrigerator in advance, add the cheese and cracker topping and bake. Serve the casserole warm and enjoy! Here’s my Broccoli Cheese Casserole recipe. I think you’ll love it. 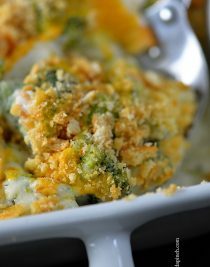 Broccoli Cheese Casserole makes a delicious side dish for holidays and family get togethers. 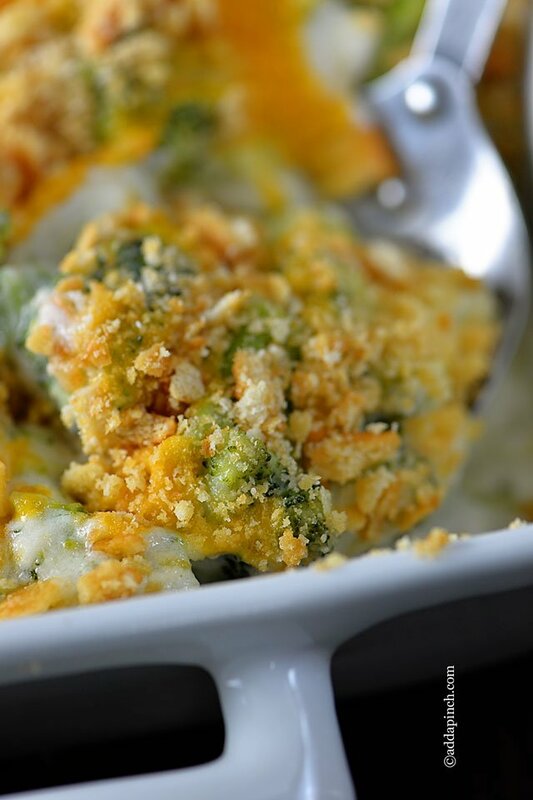 Get this family favorite broccoli cheese casserole that everyone is sure to love. Preheat oven to 350º F. Spray a 13 x 9 - inch baking dish with nonstick cooking spray. Add broccoli florets to a large heavy-bottomed stockpot of boiling water. Cook for 3-5 minutes and then drain broccoli from the water. Set aside. Melt butter over medium heat in a small saucepan. Whisk in flour until well-combined, then whisk in milk, salt, pepper, cayenne pepper and 1 cup of Monterrey Jack cheese. Reduce heat to simmer and continue to whisk until sauce simmers slightly around the edges and has thickened slightly. Stir in sour cream. 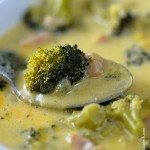 Arrange broccoli in casserole dish and then pour cream sauce over broccoli. Top with cheddar cheese and crushed crackers. This was different from my usual broccoli casserole but it’s a new favorite! The rich cheesy sauce with just the perfect kick of cayenne was a winner at our recent church luncheon. Several asked for the recipe. I made mine with 2% milk but otherwise made it exactly as written. This one’s a keeper! This was a hit at our Thanksgiving dinner! Everyone wanted the recipe 🙂 Thanks for sharing! Great, easy casserole. Instead of blanching the broccoli in boiling water, I simply steamed it in the microwave and drained off the excess water. Much quicker and easier! I’ll be trying it with other veggies, too. I might use half and half next time – the heavy cream made the sauce a little too thick. Is there a way to make and reheat this? We are eating three hours away at my in laws. It looks delicious, but I don’t want to make it and try to reheat and it not taste good. Yes, you can easily reheat it. Just heat at 350º F until heated throughout, about 30 minutes. If I made this 2 days ahead and stored in fridge (keeping the cheese & cracker topping off until right before I bake), how long should I bake it out of the fridge? Check it at 35 minutes. It will be bubbly and lightly browned when it’s done. Thanks! Enjoy it! Can I use frozen broccoli instead? How long would I boil said frozen broccoli? Sure, Danielle. Thaw the broccoli in the refrigerator first and cook according to the recipe. Thanks! What is the best way to reheat after freezing this casserole? You’ll want to thaw in the refrigerator overnight and then bake as directed. Can i make this in a disposable aluminum pan?? Sure. Enjoy it Tiara! Thanks! The recipe is fantastic, it’s so simple but delicious. Thanks for sharing it. Thanks so much, Polly! I’m so glad you loved it. Awesome recipe! Everyone loved it. I’m so happy you enjoyed this, Katarina! Thanks! You can bake this earlier and then reheat for serving. Not sure if the recipe calls for salted or unsalted butter. If I use unsalted butter, should I increase the salt? Thanks! Hello I was wondering if it would be fine to use shredded cheese instead of grated? 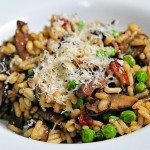 can you prepare this a day early keep in refrigerator over night and cook next day? Does this recipe call for mild or sharp cheddar cheese? I’m going to try this for Christmas dinner! What’s your favorite? Mild cheddar or sharp? My personal favorite is sharp, but my sister prefers mild and both taste delicious! I forgot to get the Monterey Jack cheese… will this be good using cheddar alone? I used a larger pan. Plenty leftovers, and my family loved this best compared to previous recipes! Will make again! This was one of the best quickest, easiest recipe that I’ve made in a while. I did add a little cream of chicken and it turned out Amazing. This my newest favorite recipe! I’ve made this twice now. Family loves it! Tonight I cut up some chicken breasts and partially cooked the chicken. Then added it to the casserole before baking. Makes it a little more like a meal instead of a side dish. Thank you!